-- Well, this was the home of the people who had saved his life during the battle of Corellia. They deserved his respect for that as he saw how those troopers were able to handle themselves. The Vitae had chosen to not join the Republic, and he only wanted to strengthen their bond. -- The New Republic Military was just that, new. He had soldiers, citizens and weapons from three different nations. All had fallen to the Bloody 53's, his nation was invited by the Core Worlds to protect them and restore peace. They were doing that now, but he realized unlike those too prideful to admit it, they were loosing too much of that could not be replaced. Manpower. -- He continued to sit in the waiting area where he was to meet the leader of this planet. Not only that, but also the CEO of a powerful Private Military Power that was hiding within his government borders. He was here for one simple need, help. - Republic City was peaceful this time of day, the capital of the New Republic was well secured and safe from outside threats. Citizens from across the galaxy that were once considered refugees were now freely walking the streets with new goals in their minds and hope restored in their hearts. It was the large central building that towered over the rest of the city they had to thank. The New Republic Senate Building was the current beacon of hope and civility for those fleeing tyranny as well as the yoke of military and force using ideals. It was here within the Republic that true freedom could be found, and the citizens could be seen freely acting without fear of the large building in the center of the city. -- Going into the Senate Building there was currently members in session deep in talks about running the matters of state. -- "...After bringing the culprit into custody he was handed over to R-SIS or Republic Security Intelligence Services were we learned that he and those he was with were working following the Ideals of the Sith Empire that Fear and Strength will bring stability and order back to the Core Worlds." The Female Republic Marshal finished her talks before the New Republic Senate. She was standing at the podium in the center of the chamber that was at the head of a long table that sat center of the room. Small Terminals were along the long table and currently no individual was standing there. Along the long room, seating areas were arranged for the few senators and their aids to relax for the conversation. - Tobias stood from his position next to the Marshal, holding the Speaker's Staff he tapped it on the floor near his feet. "The Senate would like to thank Chief Inspector Rebecca Glext for her testimony of the raid on Hok, we will take in your testimony into account, you are dismissed Chief Inspector." He waited for the women to stand down, stopping at Chancellor Munnu Fati to bow and the continued on. The Chancellor walked up and took the stance where the women was next to Vice Chancellor Dracks. He again tapped the Staff near his feet. "Senators and Represenatives of the Worlds of the New Republic, this chamber now recognizes Senator Glifen Bor of Arkania, after which the floor will be open for debate." -- The Senator walked up to the center table and adjusted his cybernetic face mask. An injury he sustained from a Sith Attack on his planet when he was a younger man. He was the Leader of the Hawk Party, the Pro-War and more conservative values of the New Republic. He stepped to the center table and began his speech. "Thank you Vice Chancellor Dracks, and thank you my fellow senators for this moment for me to propose the Enhanced Core World Security and Protection Bill," Senators from Neimordia, and Tesforam and their aids stood up and began to cheer, supporters in the ramparts did so as well. He waved his hands down and looked to the senators around him. "The proposition from this bill will allow worlds outside of our military sphere of influence will still be afforded the protection of the New Republic Armed Forces, Terrorist, Monsters, and Syndicalist are still rampant within the Core Worlds and the New Republic has the power to prevent attacks like on Arkania and Brentaal from furthering these extremist ideals, it is our duty to further protect and secure the Core Worlds from the problems of this Chaotic Galaxy." -- Tobias nodded and tapped his staff again, "Senator Bor has proposed the passing of Bill Alpha-32116, the Enhanced Core World Security and Protection Bill," He paused for a second and scanned the room like an eagle on a perch. "This bill will increase funding for the Military as well as continued expansion and creation of another Sector Army, this funding will be taken from the Navigational Mapping Services as well as the Intergalactic Excotic Animal Inisitive Agency, this new Sector Fleet will be responsible for protecting unaligned star systems at the request of their local government." He paused again and tapped his staff once again, "Thank you Senator Bor, this chamber now recognized Senator Whaor Zus from Hok to speak on behalf of the opposition of this bill, Senator." 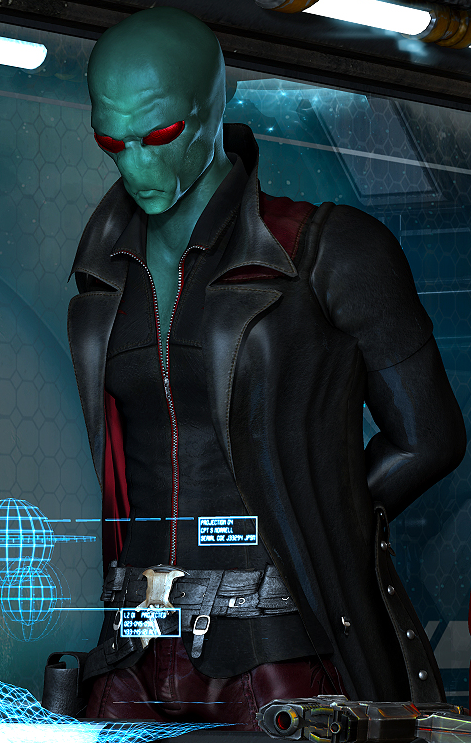 -- The Ithorian stepped forward and maneuvered the translator to a proper position to speak. Once he got to the long table he tapped on the terminal before him. Standing straight he started. "Greeting to my fellow senators, the Chancellor and Vice Chancellor and those within the Senate Chamber, I stand here before you all in opposition to the proposed bill, this Republic is still working on negotiating with our neighbors to join our united efforts of protection, it was efforts like the Liberation of Commenor by Vice Chancellor Dracks that we must focus on, we can not stretch our forces too thinly across the galaxy with the hopes of helping out some worlds when he still have threats and attacks on our own fronts like the recent attempted attacks on worlds like my own and the threats that are still close to home." He nodded his large head, pointing his finger up, "I say that we continue on the path we have been set upon and continue to work with out neighbors to have them join the Republic with our acts of kindness and not our glories of war." -- Tobias nodded and again tapped his staff on the floor, but this time he did it three times. "Thank you senators, this floor is now open for debate of the proposed bill." Unquestioning Loyalty: Due to the low acceptance rate and only being a volunteer force, only those that have the deepest loyalties to the New Republic are allowed to join their ranks. Shock Troopers: Due to their light weight heavy armor they are considered a quick response force that can modified for most task with Republic Senate Orders. Elite Force Users: Trained in not just Lightsaber Combat techniques but as well as other more deadly forms of combat, these Knights of the Republic are trained protectors to kill or subdue both non-force and force using individuals. Limited Number: Due to no loyalty to a singular code, the members of the Knights are reduced to protective details of dignitaries and are younger individuals without loyalties to the Jedi or Sith. Protection Specialist: Mainly used to protect Senators and the Republic Government Officials they are more skilled in protecting people then their other missions. Fighting in large engagements would be mooted by their small force and being ill-equipped for prolonged conflict. Inexperienced Force Users: Being as they are younger individuals they are less experienced then some of the more veteran Force Orders. -- The Knights of the New Republic are an Elite Fighting Force under the direct control of the New Republic Senate Protection Agency. Commonly known as the New Republic Knights or just Republic Knights, this force of Force wielding soldiers are the most elite of Senate Commando Force that is meant to protect and operate on the orders of the senate. Their missions range from espionage to reconnaissance on a large scale. They were created due to the limited trust the senate had in the Jedi Order in securing and protecting the ideals and laws of the New Republic. -- It was ruled by the Senate that the Republic Knights be created to not just protect the Senate, but also the pillars of Republic Values. The Force was living for these individuals, but they sold their lives to a greater cause then just themselves or a singular idea. The Force was now a tool that was spend in the service of not just the forced ideal so the small. Now it served the greater populous through the elected representatives that were chosen through the people of the New Republic. Tobias was standing on a few crates that was left in the hanger of this massive naval space port that had finished completion only a few months ago. This massive station was to be on the front lines of Republic Space by the end of the year and be the main line defense of the nation in the near future. Able to house millions of sailors and soldiers, as well as moor two large sector fleets. Just being cooped inside this small hanger was not enough. The whole of the station was for their use today, and he knew it was needed. The recent mess that was the Commenorian Campaign was something he was not proud of. His troops were pushed around by the Sith Force Users as if they were nothing, as such today, they were going to face a real challenge. The Jedi Enclave that the Republic Government was supporting had agreed to also be a part of this little training exercise. The more experience his soldiers were able to glimpse into the tricks of the trade, the more he could bring back on difficult missions. Looking out at the Republic Soldiers that had gathered to take part in this mock battle. They were both veterans of the old nations that fell to the brutality of the darker powers, others were new to this world of conflict or just to being a soldier. Either way they were here to complete their task and take away from this battle the experience that could save their lives in the future. He stood on the create he was now on and looked out to the crowed of troopers. "Alright ladies and gents, this here will be a fun trip for us higher-ups as you lower plebeians beat the living hell out of one another." He let out a laugh a little as he looked at them individually, "This may not be live combat, but we would like to get this as close as possible and as such anything that stuns a droid, now kills you, call your hits and treat it as if you were really injured." Continuing to look around he paused, "each of you have been given a random injury card with the treatment on the back, when you are downed, call for a medic and they must get the treatment correct or you are perma-dead and will be dragged out by a superior training officer, so rely on your squads, and bring me the Grandmaster." The Vice Chancellor lifted his Battle Rifle in the sky and cheered as the other troopers did the same. Many near the doors turned and created their squads and were lead by their team leaders. Once they were ready they made the Central Command Room where the first contact was planned to happen. Today will be the start of the Military Exercise for the New Republic Military. As many of our recruits are new to the environment, and have been hesitant in the few weeks we have moved it has been decided to host a military combat scenario. Both the experience veterans of both the Jedi and Armed Forces have agreed to assist with the further development of PvP and PvE writing so as not to discourage the new members of the Republic in future deployments and make the further experience something that can be fun for both parties. In this two part thread the New Republic Armed Forces will be facing the Jedi Enclave in a capture the flag game. Both parties will be using non-lethal tactics as well as armaments unless it is agreed upon otherwise. Work with the many veterans that are in the faction to get over the minor fears and misunderstanding that can make the experience fun down the road. Ask questions here in OOC as well as bring up concerns in the Discord Chat provided on the Faction Page. The Admin Team here is also very willing to help out with any questions and assistance with clearing up post that are in question. This is not a battle about who wins or looses, but making ones writing better and preventing Salt or Anger in future PvP or PvE enviorments that could happen down the road. Once tallies the side with the most "Points" will be moved closer to their opponents objective. There will be No Killing Of Other Characters here, even should the writer agree, will not happen here. Jedi are able to bring their Personal Weaponry, and for new writers the New Republic Armory is also available for their use as well. NPC Units mean little in most RP Threads, however if one is not feeling up to PvP and wishes only to further their experiansive writing with friends or a teacher getting rid of MOB's is also available. This list will be what each side brings to the table as default. If any are missed, please inform myself or an Admin so it can be added. This Thread Exercise will only be happening from Oct 15th (Today) to Nov. 3rd with the 24 hr judging taking a break over Halloween. There will be rewards presented to not the factions or teams for winning but for other things as well. Best Teacher - For the Veteran and older writers of the Board, the Admin Team will reward this writer with presenting a name of their choosing to the factions first Super Star Destroyer when the time comes around. They will also have the bragging rights of being the best person to go to for improving writing skills. 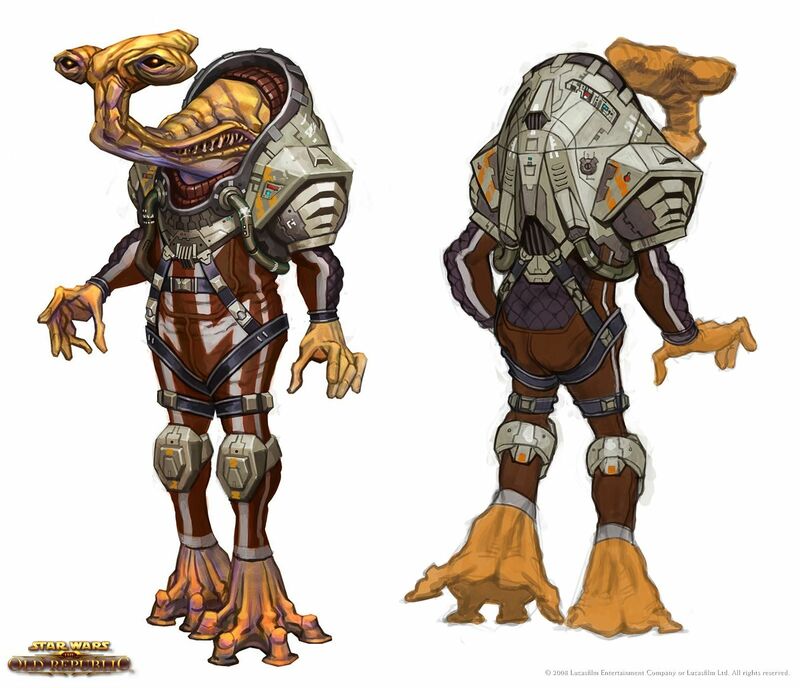 Peacemaker - For great OOC understanding and ability to resolve a problem, the Admin Team will have this individual not only choose the name and biography of the next NPC Grand Admiral, but also choose the placement of Port Damalis as a Planetary Location. Improvement Above Others - For the best improved new writer of the Faction, they will be given a personal Art Request for the Admin Team, they will also have a Sector Fleet named after your choosing where it will be used by the Vice Chancellor forever. Improved Writing - Any writer that has improved in the eyes of the Admin Team will be given a singular Sig Art Request from myself. It wont be much but I do not really do request very often even though I Animate as a Hobby. Participation Trophies - To all that join this War Games they will have a right to name and choose every ship in my Fleet, the 1st New Republic Armada "Insert Name Here" that will be used as the main New Republic Armada for as long as I am part of the Admin Team.